With 19 years of experience, Columbus criminal defense lawyer, and former assistant prosecuting attorney Michael Probst is prepared to defend adults and juveniles accused of a number of crimes. Michael is proud to defend the rights of clients facing charges in mayor’s, state, and federal courts. 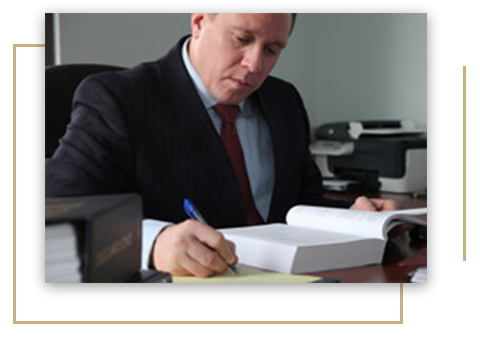 COLUMBUS DUI ATTORNEY MICHAEL S. PROBST HAS SIGNIFICANT TRIAL EXPERIENCE IN ADDITION TO AN EXTENSIVE WORKING KNOWLEDGE OF COURTROOM PROCEDURES. Probst Law Office is a criminal and DUI defense law firm based in Columbus, Ohio. I have the experience and knowledge it takes to defend individuals charged with both felony and misdemeanor criminal, traffic, and driving under the influence (DUI), or as it is more recently known, operating a vehicle while impaired (OVI) offenses. With 19 years of professional experience, Columbus criminal defense and DUI attorney Michael Probst has significant trial experience in addition to an extensive working knowledge of courtroom procedures. After filing a motion to suppress and continued negotiations, I was successful in obtaining an offer from the assistant prosecutor for a stipulated 1st OVI offense with 1st OVI penalties, in exchange for Client’s guilty plea. Client was sentenced to serve 3 days in a Driver Intervention Program (DIP) and spent no time in jail for the OVI offense. The assistant prosecutor initially refused to offer a deal, indicating that he intended to take the case to the grand jury in order to indict Client for a felony offense. Afterward, I convinced the assistant prosecutor that I would be successful in suppressing the State’s evidence as a result of the unconstitutional search of Client’s vehicle. The State subsequently dismissed the charges against Client. At the arraignment I was able to successfully negotiate a reduction of the OVI charge to a charge of Physical Control of a Vehicle While Intoxicated. The reduced charge is not a moving violation and, therefore, the client did not get any points on his license from the Bureau of Motor Vehicles (BMV). The assistant initially offered to dismiss the Aggravated Menacing charge in exchange for the client’s plea of guilty to the Resisting Arrest charge. After making an aggressive argument and letting the assistant prosecutor know that I would not hesitate to take the case to a jury trial, the State offered to dismiss the Aggravated Menacing charge and reduce the Resisting Arrest charge to a charge of Disorderly Conduct, a Minor Misdemeanor.